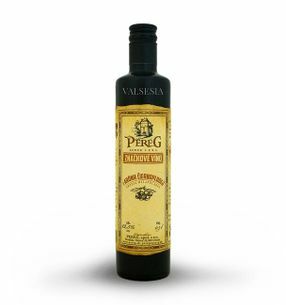 PEREG - extremely popular Modranské industry, especially known for its fruit wines blackcurrant and healing Black chokeberry. Probably the most famous wine of Peregu However cuvee currant and Black chokeberry who know at home and abroad under the name Cuvée Black Pereg. The fact that the Peregu fruit wines are among the best, not only demonstrates the huge interest the general public, as well as a number of awards and medals in various competitions such as the Champion of the exhibition Great American International Wine Competition 2018. Pereg produces exclusive wines, as evidenced by the fact that they are used by the best in the industry - renowned chefs and sommeliers, many awards for their creativity and professionalism. 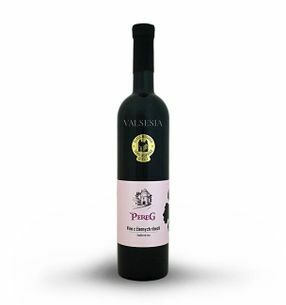 PEREG Rubinus - rosé blackcurrant, branded wine, 0.75 l Rubinus - excellent rosé from blackcurrants, fresh, light and playful, made from blackcurrant come from plantations certified organic cultivation. 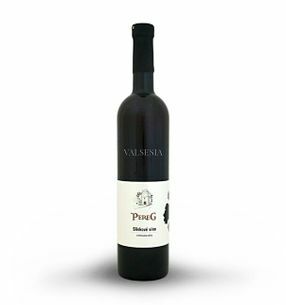 PEREG Blackthorn wine 2018 - limited edition, branded fruit wine, 0.75 l Blackthorn wine in 2018 recorded by fans of good fruit wines absolute success. 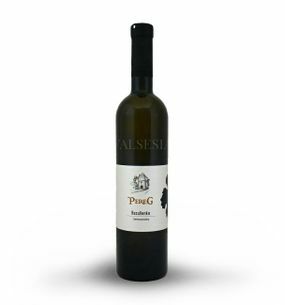 Limited edition sold quickly, so do not miss a unique opportunity to try this and you Blackthorn delicacy made by well-known and popular wine PEREG. PEREG Blackcurrant Wine - Sparkling Limited Edition, 0.75 l Pleasantly fruity sparkling wine blackcurrant will enchant you with deep, ruby-red color and fine bubbles that accompany the beautiful black currant aroma and completing the excellent feeling of well-balanced fresh taste pleasant residual sugar. PEREG Blackcurrant wine, branded wine, 0.75 l Delicious and delicate currant wine, the taste is full, long and juicy, with a captivating currant flavor and almost mystical dark-reddish color. 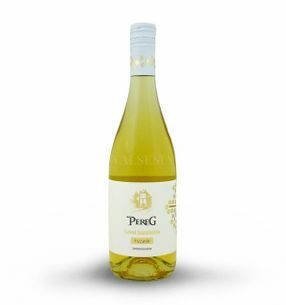 Attractive fruit wine awarded with the Great American International Wine Competition 2018 - Champion of the exhibition. His-ending popularity is confirmed by the second survey "Wine of the year 2018 '. Congratulations !! !